Is your favorite snack bar just a candy bar in disguise? Full of unhealthy sugars and GMO ingredients? According to Mercola.com, most of the top-selling snack bars contain sweeteners like high-fructose corn syrup, cane syrup and artificial sweeteners like aspartame. The top three bars contain total carb levels as high as 42 grams and 20 grams of sugars per bar. Maybe it’s time for a better bar? You’re in luck. From now until midnight December 31, Mercola.com is offering OCA shoppers 20% off of its gourmet cassava snack bars. From now until midnight December 31, get 20% off your purchase of Dr. Mercola cassava snack bars with this promo code: ORGANIC1218. 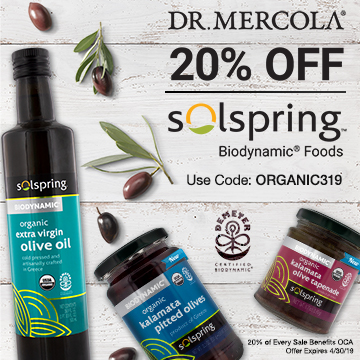 Plus, Mercola will donate 20% of your purchase price to OCA. Shop here.